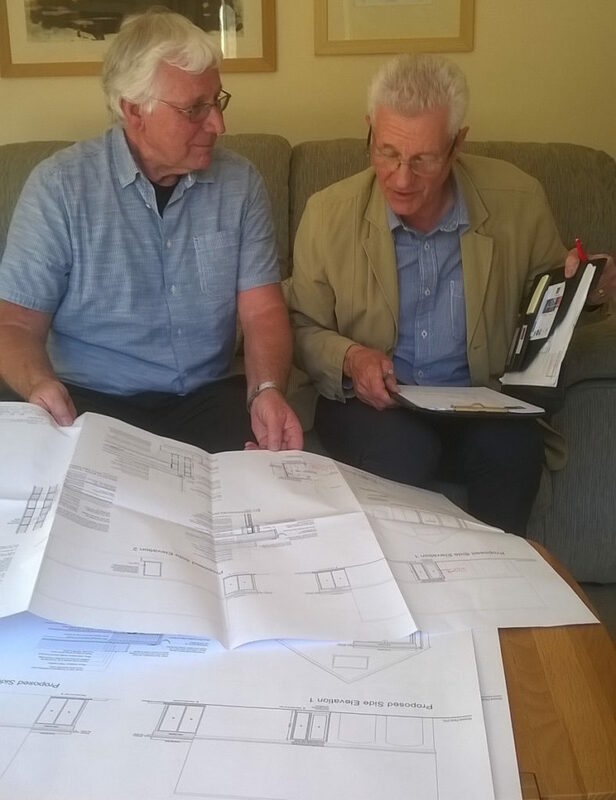 Edward Ferguson provides an update on his ‘ask an architect’ consultation with Architects Knox and Markwell. We have lived in our home in Bangor for over 30 years and we’ve periodically thought about moving house but it didn’t really make financial sense. We like the space we have and the area we live in. Our home fulfilled all we needed it to while our children grew up and moved on to live their own lives. We have both retired now so it is a good time to re-evaluate what we want from our home and what changes we might make to it to compliment this new stage in our lives. Ask an Architect has spurred us on to explore how our home might be adapted to meet our new priorities and needs. This great initiative gave us the chance to discuss and explore our options with a registered architect for a very small donation of just £40. So we booked an initial appointment with Clyde Markwell, from Architects Knox & Markwell in Bangor and he came out to see us in our home. He looked at the existing layout and configuration of the building and then spent some time talking to us about our needs and wants. Then he talked to us about possible options in a clear and straightforward way. His ideas really made us think not only about what we needed from our home, its function, but also how it could look, its form. Following that initial meeting, and several weeks of thinking about Clyde’s suggestions, we were able to decide on a number of changes we wanted to make to our home. Among the many great suggestions Clyde made was reconfiguring our dining room area to make it a bit bigger, more open plan, more versatile and much brighter. He also helped us refine our plans to create an integrated sun room at the rear of the house and a new porch area at the front. We are now getting detailed plans drawn up and will then get tenders from a number of recommended builders to undertake the necessary work at the best value cost and in a reasonable time frame. It has truly been £40 really well spent and we look forward to updating you next year on the project with photos of the work that has been done. Exciting times ahead!